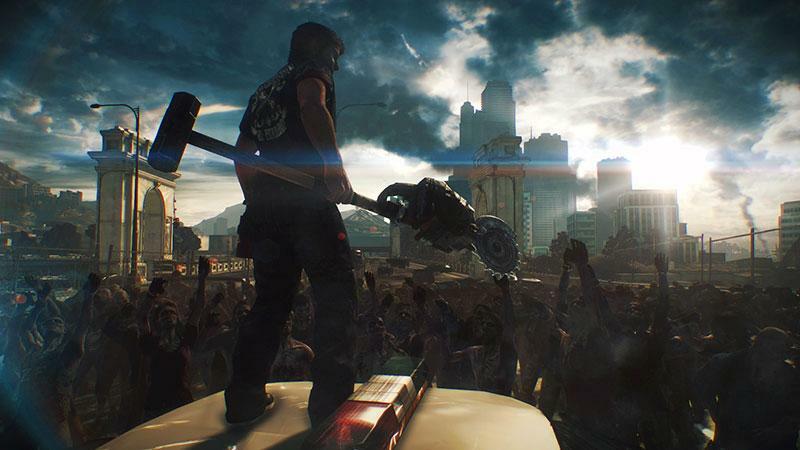 Dead Rising 3 is an 3rd person open world survival hack and slash game for the Xbox One. The main appeal of the game is that you get to fight an endless amount of the undead with a large number of crazy weapons and vehicles to chose from. Additionally to the large amount of weapons there is also a crafting option to combine weapons (If you’ve found the blueprints) to make them even more crazy, for example a weapon called the ‘Sledge Saw’ which is in the image above is a sledgehammer and cement saw combined, you can also combo vehicles to make killing machines. You level up your character as you play by collecting PP which you get from missions and killing zombies, from leveling up you get skill points which can be put into attributes like increasing life, melee damage, inventory space etc. The game takes place in the fictional city of ‘Los Perdidos’ and there is much exploration to be done with a number of collectables, side missions and the main missions. You aren’t just always coming up against zombies during the game you also get to fight bosses which during my experience so far have been people, they are a good break from just killing zombies but can be a bit strange sometimes as the mechanics are set up to be able to kill many enemies at once. For the categories of games it falls into, they are Agon because there is a leaderboard for the amount of zombies you have killed and achievements also make it competitive because you want to have more then your friends. As for most games it also goes into Mimicry as you are playing as a character in this case Nick Ramos. Whilst playing I would say I was changing between a state of arousal and flow on the diagram because I really enjoy the game. during the night it becomes a lot more difficult to survive so I would say I was in flow during them parts of the game, trying to survive the quicker and stronger undead. Overall Dead Rising 3 is a really fun game and probably one of the best for the next gen consoles, not graphically but from a fun game play aspect. 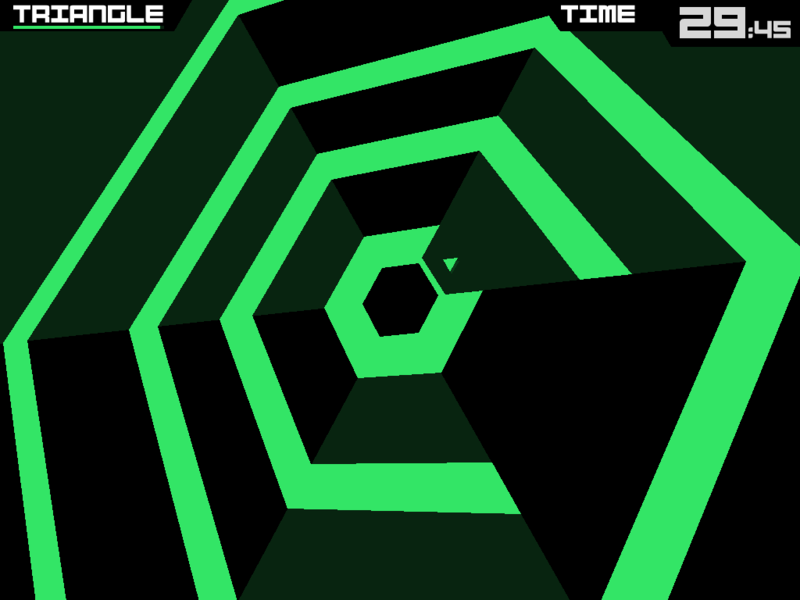 Super Hexagon is a fast paced twitch game developed by Terry Cavanagh and initially released in August 2012. The aim of the game is to control a small triangle that circles around a hexagon in the center of the screen and last as long as you can avoiding the vibrant multicoloured walls that are closing in on you, it requires super quick reactions to avoid the incoming walls. The controls are just ‘A’ or left arrow to move counter clockwise and ‘D’ or right arrow to move clockwise so you can play either right or left handed. Your score is how long you can last and that is in the top right hand corner of the screen, there are 3 difficulty modes, Hexagon, Hexagoner and Hexagonest and if you complete a minute on a difficulty you unlock hyper mode for that difficulty which makes it even more fast paced then it already is. According to Roger Caillois game categories this game falls into Agon and Illinx. It goes into Agon because you get a score which goes to a global leaderboard and you can also compare with your friends which makes you want to do better then them so you continue playing, you also compete with yourself constantly wanting to beat your own score and do better next go. Probably the main aspect of this game is the disorientating gameplay with the bright colours and the fast incoming walls always spinning and moving positions makes it really difficult to know where to move which is the whole appeal of the game. Achieving flow whilst playing this game is very easy, all the gameplay aspects are designed to achieve flow, if you don’t you won’t last very long in a level. The fast paced gameplay an the immediate start of the game as soon as you hit play mean that you are almost in flow immediately which is the point of the game, it takes a lot of concentration to do well.